Secretary of State Rex Tillerson said that President Trump had "issued no red lines" when it came to North Korea, suggesting that an atmospheric test by the rogue state might not automatically trigger a military response from the U.S. Tillerson's remarks were made at the U.S. ambassador's residence in Beijing on Saturday evening. Tillerson was in Beijing to lay the groundwork for the November summit when Mr. Trump visits China on an 11-day tour of Asian nations, which includes South Korea, Japan, China, Vietnam and the Philippines. Tillerson says the U.S. and China are seeing signs that sanctions on North Korea are "starting to have some effect." He did not cite any specific example, but said the "Chinese are actively engaged in putting pressure on the regime." New sanctions were imposed on North Korea in the United Nations on September 11 during the United Nations General Assembly. 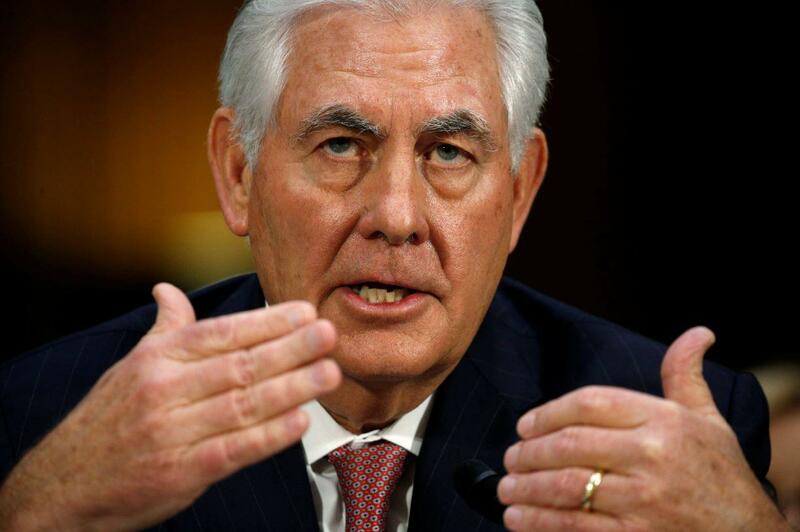 Tillerson said that the objective in North Korea is still denuclearization and not regime change, and said that the goal was still to engage diplomatically, in a "step-by-step process." Tillerson gave no details on what a dialogue with North Korea would look like if the U.S. sat down with them, Tillerson responded "What would be talk about? We haven't even gotten that far yet to say 'what do you want to talk about?'" When asked if an atmospheric nuclear test would elicit a military response Tillerson said, "As far as I know the Commander in Chief has issued no red lines." He says the situation with North Korea is "overheated" and things need to "calm down." When asked if that includes Mr. Trump's rhetoric he said "It would be helpful if Kim Jong Un stopped launching missiles." "If North Korea becomes a nuclear state they won't be the last nuclear state in this region." Tillerson hinted that there are ongoing open communications, despite the bellicose public rhetoric between the U.S. and Pyongyang. "We have lines of communication to Pyongyang -- we are not in a blackout," he said. "We have a couple, three channels to Pyongyang. We can talk to them. We do talk to them. Directly through our own channels." "We're not going to put a nuclear deal in place in North Korea that is as flimsy as the one we have in Iran. I can tell you that."